Can I schedule a time for Announcements to be made? How to set-up announcements to be sent at a later time. 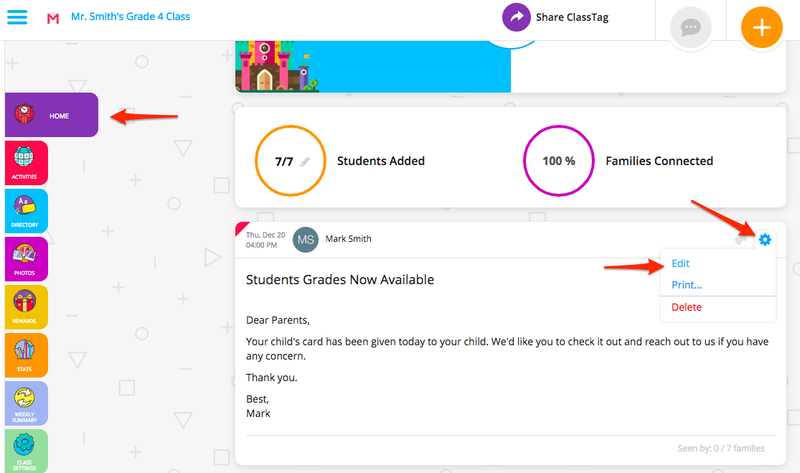 We know that as busy teachers, sometimes you don't get a chance to log onto ClassTag until after hours or on weekends, times when you'd rather not send a bunch of notifications to parents' phones or inboxes. 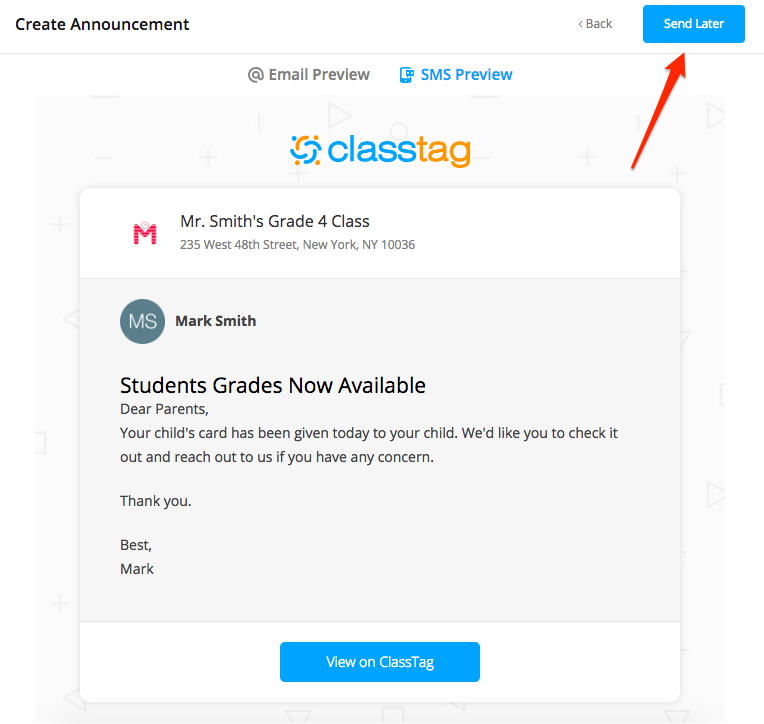 ClassTag provides an option to send an announcement on a later time. 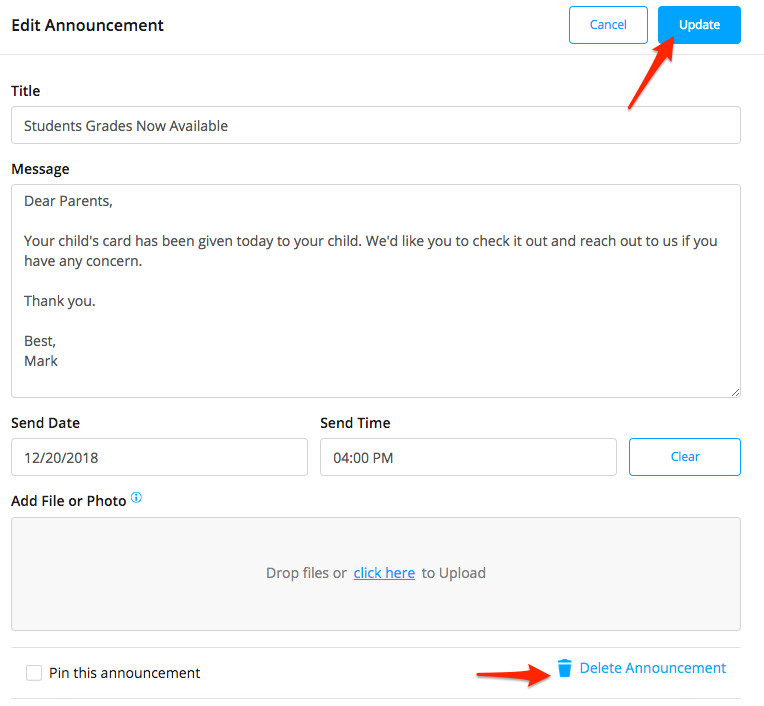 If you’re not ready to send the announcement, you’ll see the “Add Send Time” button that you can click on to add the date and time you’d like the system to send the announcement to the parents. After you pick the date, click the “Preview” button to go to the next page. 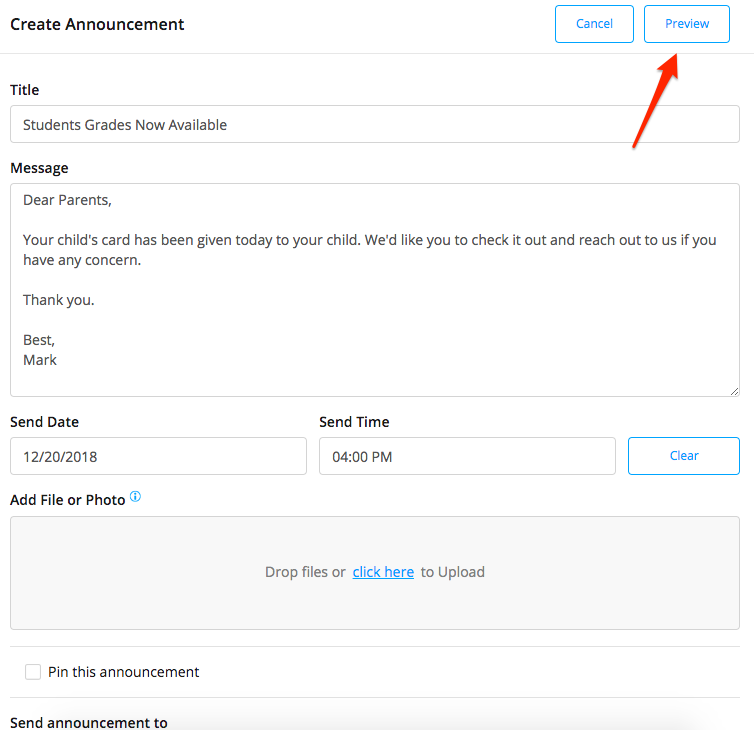 The next page will show you how the email or SMS will look like when the parents receive it. The screenshot below is a sample email. 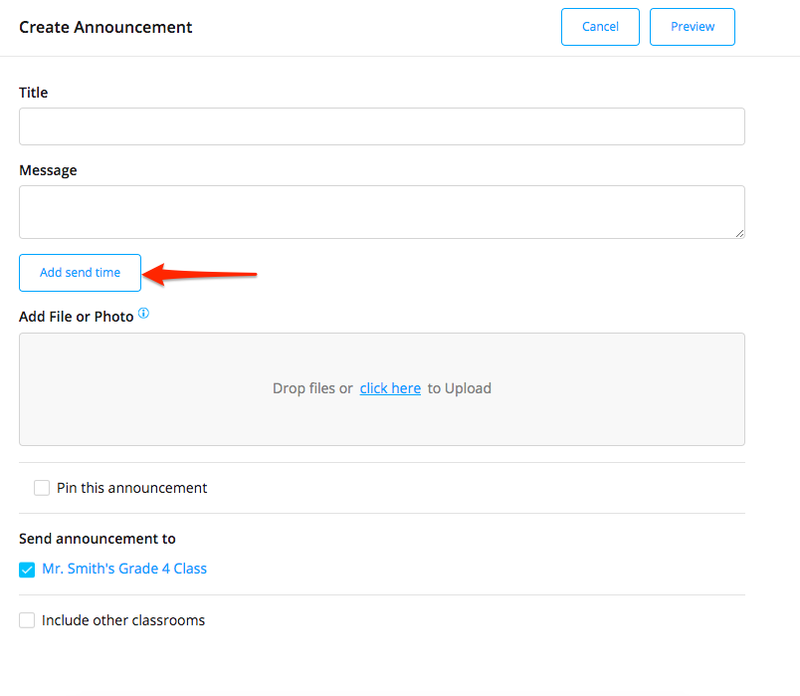 Click “Send Later” to continue or click “Back” if you’d like to edit the contents. The Announcement should now be on your Home page. If you’d like to edit it, click on the gear icon and click “Edit”. It will give you the page where you can edit its contents. Click “Update” once you’ve finished editing the Announcement. There’s also an option to delete the announcement on the lower right side of the page. How can I create an Announcement? How do I retract/recall a message/announcement that I’ve sent on ClassTag? Can I create multiple announcements at the same time, but have them sent at different dates/times?